CNN , please concentrate on the news. Don't make a human interest story where none exists. Noelle shows the real spirit of chilean people. We are now facing the most terrible nightmare you could ever imagine. But, as Noelle did, we will proudly stand from the ground and start from zero. Thank you all for your attention and coverage to the tragedy my country is going through right now. Noelle, I fully understand your hard situation and hope you and your family, friends, colleagues soon overcome this difficulty. As an amateur skier of Japan, I wish you all make it and go on skiing for future world competitions! She is what the Olympics symbolizes, to represent ones country, to be the best sports person one can be and to respect ones fellow Olympian. 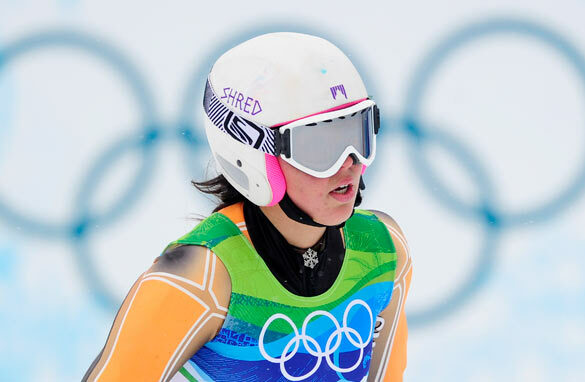 I hope she will compete again in the next Olympics. Noelle, We are so proud of you. Fuerza Chile! I am asking that you review your Olympic coverage and apologize to the Canadian people for the many negative productions done . I, a Canadian, currently in Hanoi during the Olympics, could only receive reports through your network. Unfortunately, these were very wrong and intentionally anti-Vancouver . In 1988, when the Games were in Calgary, there was no such bias. Canada failed to earn a gold medal, but the Games were enjoyed by all. A program was funded to increase Canada's level of coaching so that we would be more competitive. The results were amazing! Canada won more medals than ever before, and more gold than any country in the history of winter sport. America's noticeable decrease of the dynamic spirit that has made it a great friend and neighbour, might have been caused by the media's concentration on the negative. The emerging nations of the Far East appear far more vibrant than your post- recession "malaise". Where is your zest for life gone? Fix the banking system; fix your health care system; lessen the lobbies and retake the lead. You need not put your neighbours down. Canada is enjoying the fruits of a great Olympic Games. Perhaps America, with its great young hockey team would have been better served by winning that final game; but, you, the media, must do your part to restore your nation's great spirit! You have been knocked to the canvass, but the world wants you to get up and fight again.